How to Become a Personal Trainer | what does it take? There are many paths to becoming a personal trainer. Some go to college. Some don’t. To become a SUCCESSFUL personal trainer requires education, certification, and, obviously, clients. We help you achieve and access what you need to be a personal trainer, for now and for later. 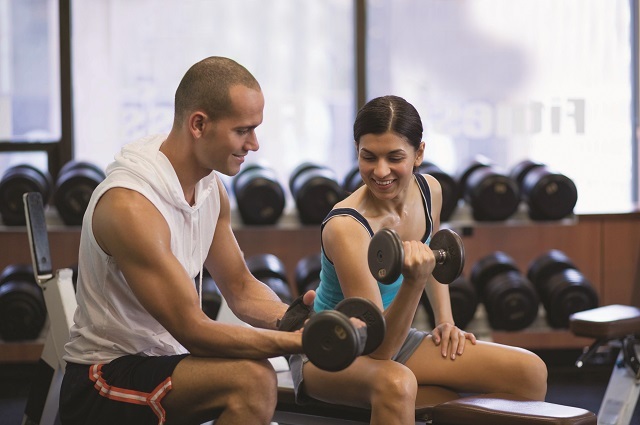 Many people become personal trainers because they have a passion for heath and fitness. Experiencing the results of a fit lifestyle first-hand creates a desire to share that knowledge. Helping others achieve and maintain their fitness is a rewarding career and creates job satisfaction for those that pursue this path. Do I Have What it Takes to Be a Personal Trainer? What is My Role as a Personal Trainer? Personal trainers get to enjoy flexible schedules and high earning potential, right?? Wrong! At first, your schedule will be based on the needs of your employer and/or clients. They come first and they will ultimately dictate your work hours, at least in the beginning. Earning potential is high, that is true, but not right out of the gate. High earning trainers have a lot of experience and they take their learning and growing very seriously. Like any new career or start-up commitment – you get what you give, and it takes time. Don’t get discouraged if it isn’t everything that you thought it would be right in the onset. Set a realistic timeline for reaching goals, and remind yourself that Rome wasn’t built in a day. Understand your role as a trainer and be the best at it that you can be, the rest falls in place. Instruct or coach groups or individuals on exercise activities and the fundamentals of physical fitness. Observe clients and teach them corrective measures needed to improve their skills. Act as a wellness coach with a strong science-based education. Design exercise programs appropriate for members of a variety of healthy populations. What is the Process to Get Certified? We’re available to you at every step along your journey. 3 steps, to be exact. 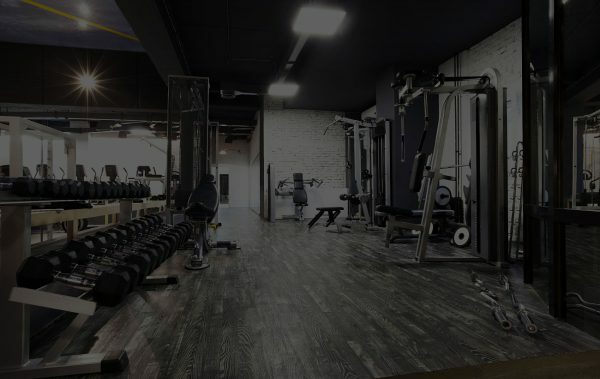 We have a team of personal training experts and administrative professionals who can answer any question that you have from certification how-to’s and landing your first job to exercise science concepts and fitness training techniques. We’re serious about supporting your certification needs and putting your passion to work! First, choose the Standard or Premier Certification Package (or you can choose to purchase only the Exam Voucher to ‘test-out’). Both the Standard and Premier Certification Packages include the Exam Voucher, Exam Outline and all of the essential study prep material (like the Trainer Manual, Study Guide and Online Study Guide in chapter-by-chapter quizzes). The Premier Certification Package includes all of these items and all of the extras (like the 2 Practice Tests, Exercise Animations, Assessment Videos and Expert Trainer Support). Once you enroll, we email your NFPT ID# and account details for accessing all of your resources and exam scheduling portal. Next, prepare for your exam by using the materials in your NFPT account and your existing knowledge of the subjects listed in the Exam Outline. The average study time is 60-70 hours, which includes the average for reading the Trainer Manual, completing the Study Guide and taking the chapter quizzes. When you’re ready, set your own exam appointment around your schedule! Then, pass your exam! You’ll get your exam score immediately following exam sitting. When you pass, you’ll receive your certificate and wallet ID card by mail (within a week following your exam). There is a 74% pass rate for first time test takers (you got this)! But, should you need to take the exam again, that’s okay, you will have another opportunity to pass. If you’re serious about your test prep and passionate for the work, you’ll pass and you’ll be a great trainer at the end of the process! Take advantage of the resources available to you once you’ve achieved the NFPT Certified Personal Trainer credential. In your NFPT Account, you’ll access your trainer database listing, assessment forms and training logs, discounted liability insurance and other partner discounts, and FREE CECs for the life of your certification! I have to work in a gym, right?? Wrong! A health club/gym is a great place to start, but it’s not the only place. Personal trainers are only limited by their imagination. You can be a traveling trainer or a community park trainer or a cruise ship trainer, the work settings are vast and can be tapped into when you set your mind to it. If you start working for a local club, great! If you’ve never worked as a trainer, we recommend working for a club to get your feet wet and learn the ropes. But be thinking of ideas and setting goals for 1 year and 5 years out. Goal setting is crucial, but so is taking the right steps at the right time – don’t overburden yourself with unrealistic goals. Work up to the goals, give yourself time and space to learn and grow. Think about where you may start working and where you would eventually like to work. Which Personal Training Certification is Best for Me? I can get any certification, right?? Wrong! You need to start with an NCCA accredited certification program. NCCA is the National Commission for Certification Agencies, and it is the gold-standard in the personal trainer certification industry. 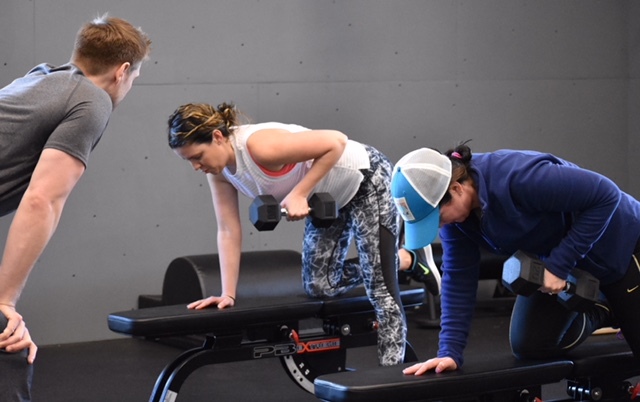 You will use your Certified Personal Trainer (CPT) credential as a pre-requisite for employment as a personal trainer (and most employers will require that your CPT comes from an NCCA accredited source). Beyond this, the choice is yours. Choose a program that best accommodates your long-term needs. Of course we think that our certification program is the best for you, and we’d like you to check out why NFPT is the better choice. But, for the basic certification and continuing education requirements, we researched some of the most popular certification programs and put it all in one place, we hope it helps as you compare certification options.